New Jersey Lt. Gov. Kim Guadagno on Monday flatly denied she attempted to use relief for Superstorm Sandy as leverage to compel the mayor of Hoboken, N.J., to approve a development project. "I deny any suggestion made by Mayor Zimmer that there was ever any condition on the release of Sandy funds by me," Guadagno said at a news conference. On Sunday, Zimmer stepped up her charges saying on CNN’s "State of the Union" that Guadagno told her that the request "was a direct message from the governor." Following Guadagno’s denial on Monday, Zimmer issued a statement saying she was “genuinely disappointed” that Guadagno has “lived up to her promise” to deny linking the Sandy money to the development project. 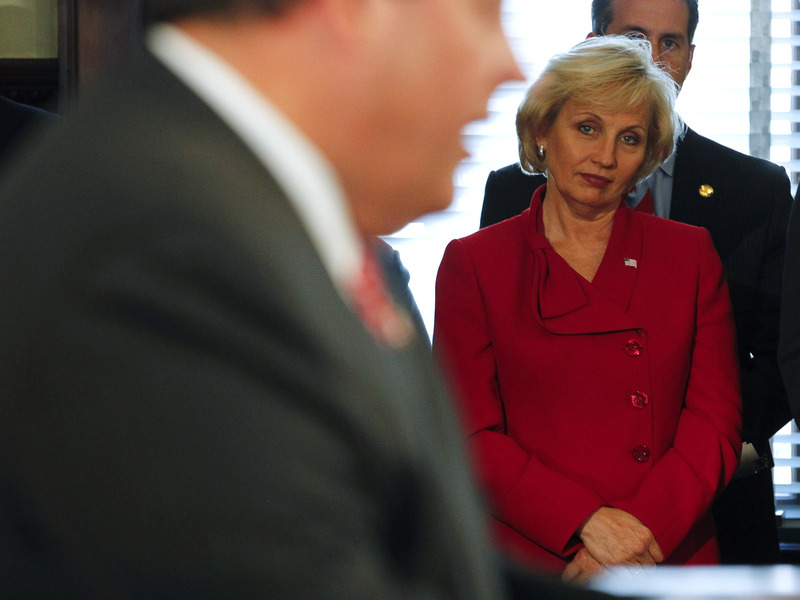 An unnamed source close to Guadagno told CNN that the lieutenant governor recalls speaking with Zimmer but that she recalls Zimmer mistakenly conflating the issues of Sandy recovery aid and redevelopment. "Kim remembers in their conversation that she was talking about redevelopment and making investments in Hoboken. She remembers Zimmer pressing Kim for money for Sandy. Kim remembers saying you can't tie the two together," the source said. Monday afternoon, a Christie administration official told reporters that the governor’s office worked with federal, state and local officials to dole out Sandy funding in a comprehensive and objective way. In an example of the challenge it was to allocate funding, Ferzan pointed out that Federal Emergency Management Agency (FEMA) allocated the state roughly $300 million for one hazard mitigation program after the storm, but the state received more than $14 billion in requests for that funding. “Obviously we had to create objective programs that could be available for all eligible communities,” he said. Zimmer’s charges follow revelations that Christie’s aides and allies closed lanes on the George Washington bridge and backed up traffic seemingly for political retribution. Christie was asked about the scandal over the weekend at a political event hosted by Home Depot co-founder Ken Langone. Christie, there in his capacity as new chairman of the Republican Governors Association, told the Republican donors there that he couldn’t say when the controversy would end.